Cousin bait in action! So glad you could connect! What we are always hoping for! Unexpectedly close even. Congrats, enjoy it! Oh Jana that's wonderful! That's why we blog, right? You never know what cousins may be out there waiting to be found or trying to find you. Very happy for you. Whoo hoo! Congrats. I've been contacted by four heretofore unknown relatives as a result of my blog. It's just so exciting when it happens, and when you are able to fill in new pieces of the puzzle together. So happy for you! Thank you! And congrats on your own cousin connections. That's awesome! What an exciting discovery, Jana! And to think you would possibly never have discovered this connection, if it weren't for this cousin getting in touch with you, thanks to your blog. Interesting connection! How exciting for you. How exciting! Lots and lots of information to be shared! Thank you Debi! It's been amazing sharing information and photos with Marco. So fun! Oh Jana! This is just the best! And why we just have to keep on blogging....we just never know what it will turn up. Great news. Wow, that's an exciting development! How nice to meet such a close relative online. Blogging has so many benefits, but this is really a good one. That is so exciting! And very encouraging and inspiring to the rest of us who hope some relative will read our blog and open more doors to our family story. Thank you Amy! It really is so exciting!! Blogs really can work as cousin bait. That's terrificly exciting! And such fun! Congratulation! Thank you so much for the honor of being listed in your Friday Finds Miriam! Thank you Dana! This is such a close cousin connection. It's amazing. 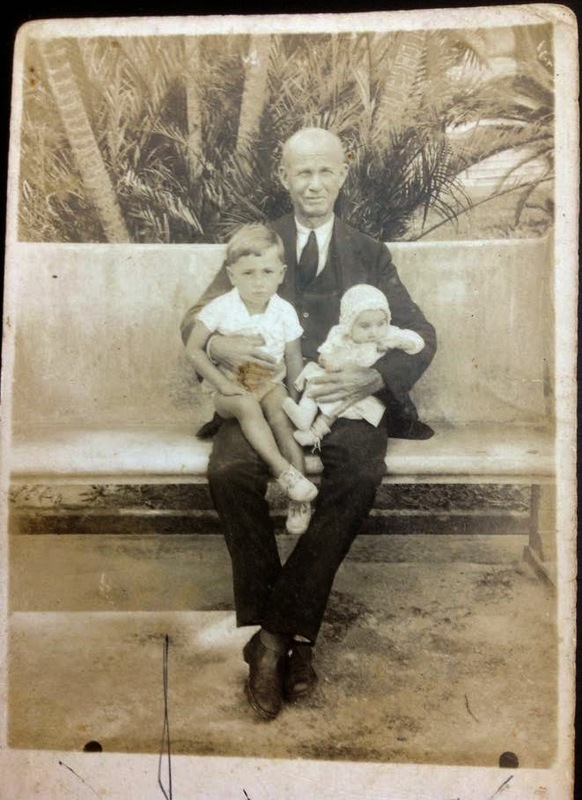 And the photo of my great-grandfather is the frosting on the cake. Thanks for stopping by! I'm late to the party but am joining in with this celebration. Not just a new cousin but a whole new layer of relatives -- that's HUGE! Your family tree has taken on a whole new shape. Cooler than cool. This really is HUGE Wendy. It's so amazing to add another branch to my family tree with this newly-discovered cousin and his family. Truly a blessing.